83% Of Americans Believe President Trump Did Right Thing By Calling Judge "A Total..."
Desertion is one of the most serious offenses a soldier can commit. Not only does he remove himself from a position where he can support his fellow soldiers, but he puts them in danger. Morale depends on the confidence that everyone is on the same team, focused on the same mission, and willing to make the same sacrifices. In other words, the team must be confident in each other. That doesn’t mean that there are never any traitors. No service is perfect. It’s just that their names go down in infamy, something like Benedict Arnold. Not only that, they are made an example out of by the severe punishment they receive. Unless Mr. Obama was involved. Sgt. Bowe Bergdahl deserted his unit in Afghanistan. He was captured by the Taliban. His release with secured by Mr. Obama in return for the release of five confirmed terrorists. To make matters worse, Bergdahl was just given a slap on the wrist by an Army judge for his treachery. President Trump is livid with this outcome and devastating in his condemnation of this judge’s decision. “Bergdahl deserted his post in Afghanistan in 2009 and was captured and held by the Taliban until 2014, when then-President Barack Obama agreed to release five high-level terrorist prisoners from Guantanamo Bay in exchange for Bergdahl’s freedom. 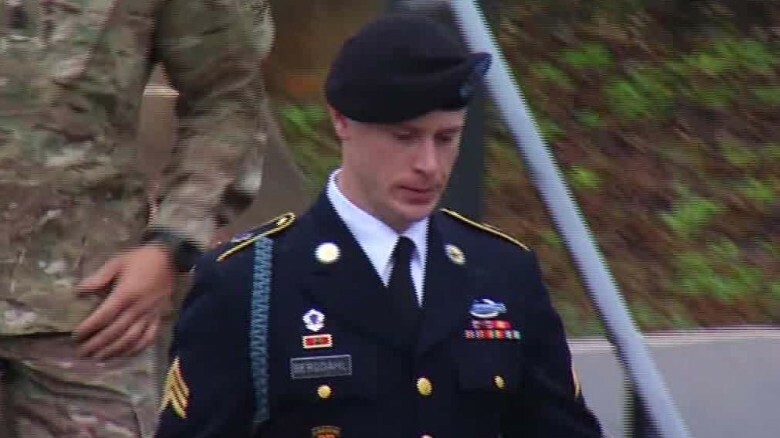 “Bergdahl originally faced a potential life in prison sentence, but his final sentence announced Friday included a demotion, dishonorable discharge and a small fine. Mr. Obama has no respect for our military. Like the Clintons, the US military is useful only when they are protecting their persons, or when they are sent on some preposterous mission to advance the cause of world government or to advance some left-wing social justice cause. Other than that, they are all expendable, and are to be treated as such. What a disgrace. In a poll taken by Army Times, 83 percent of responders agree with President Trump: Bergdahl should have received a harsher sentence. Of course, President Trump is correct. Bergdahl deserted his own comrades and this resulted in their being placed in danger. The bungling Mr. Obama pulled one of his typical bad deals in securing Bergdahl’s release in return for the release of five dangerous terrorists. Now this Army judge completes the travesty by giving Bergdahl a very light sentence. While he will have a dishonorable discharge following him around the rest of his life, this hardly seems sufficient. The only good thing we can say about this is that we have a president who is ready to call things the way they are, and who has replaced the coward of a president who wished to give comfort to cowards in our military.